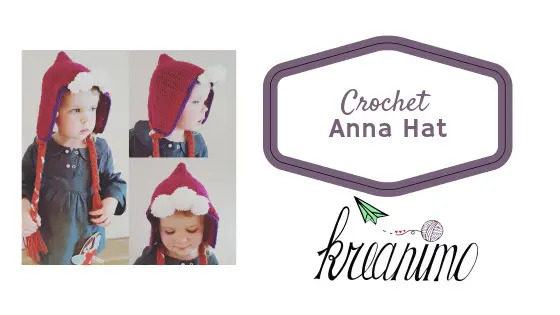 Anna hat crochet pattern – easy pattern for beginners! A while ago a crocheted an Elsa hat, by now my daughters have grown out of that one. So the time had come to crochet another hat. This time I chose an Anna hat. I saw on someone’s instagram stories a hat like this and asked how it was made. (So sorry I forgot who it was, I follow a lot of crochet people, so if you see this and you think: hey, that was me, give me a yell and I’ll give you credit! ). 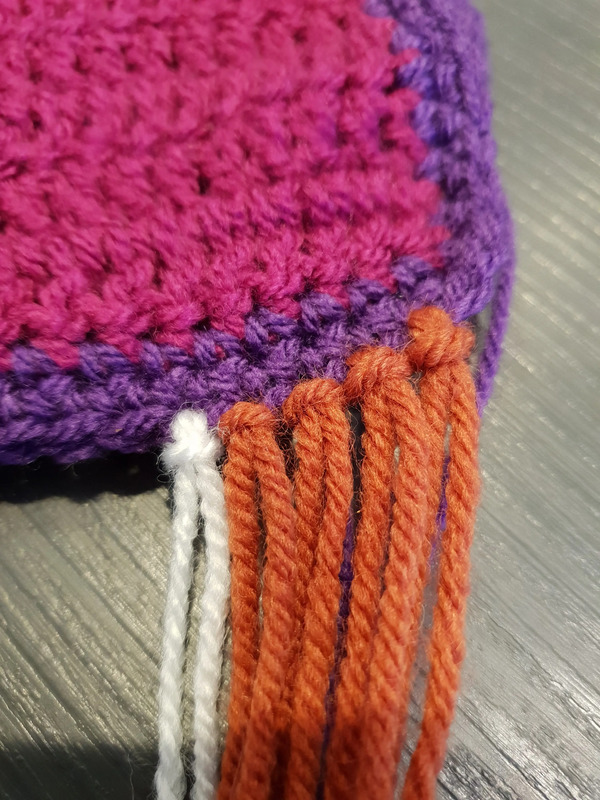 I didn’t get the pattern, there was none, but she did tell me how to start and what to do. 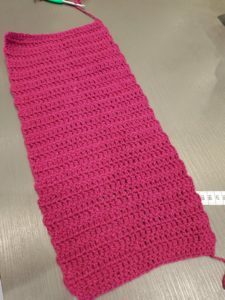 I still had the right color in Bravo yarn and I used a 4mm. hook. These are USA crochet terms! I started with a 35 chain, but that way the hat turned into a giant Anna hat! So I frogged it all and started over. 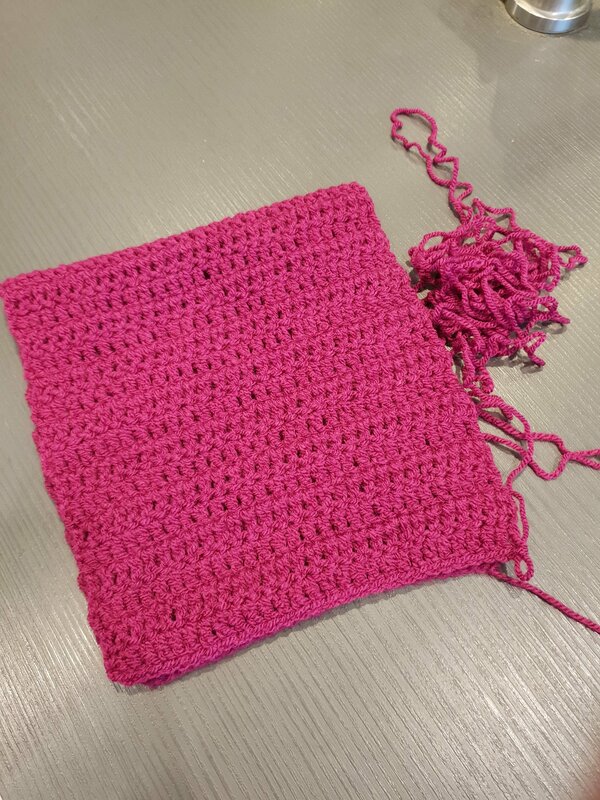 This time I chained 30 stitches and crocheted rows of double crochet up and down util the rectangle was 43 cm. long. I folded the patch in half and measured on a hat one of the girls that still fits very well. That way I had an indication it the hat was turning out ok.
You can make the hat smaller by starting with less chains and/or making the rectangle smaller. 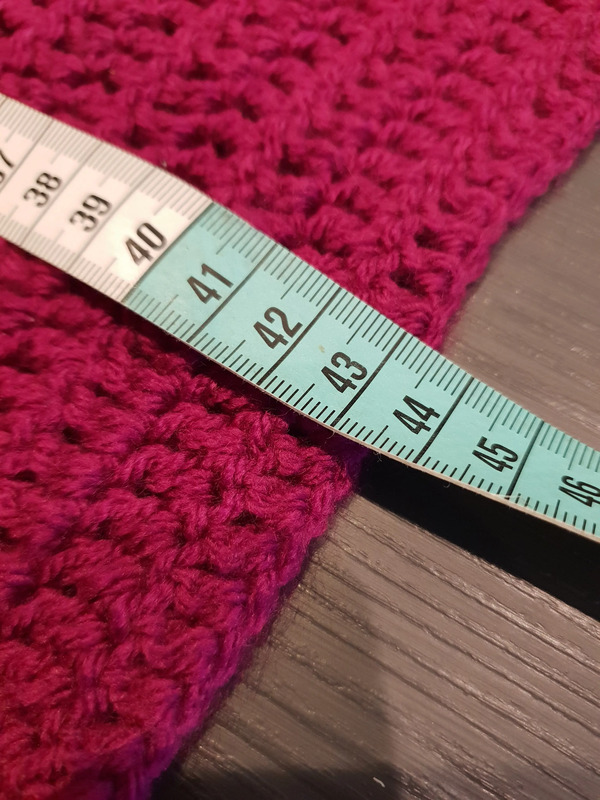 Use a hat that fits to make sure that is isn’t turning into a giant hat! 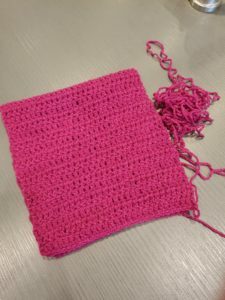 I folded the rectangle and closed one side using single crochet stiches. I changed color to dark purple and crocheted aroud the border with single crochet stitches two times. You can finish off by now! I used brown and white yarn to attach to the sides. These strings will be braided into the two braids Anna has! The white yarn is for the string of white hair Anna gets when Elsa touches her heart with her ice magic. Each side got 15 strings. Make a braid on each side of the hat. And now: anna in the house! 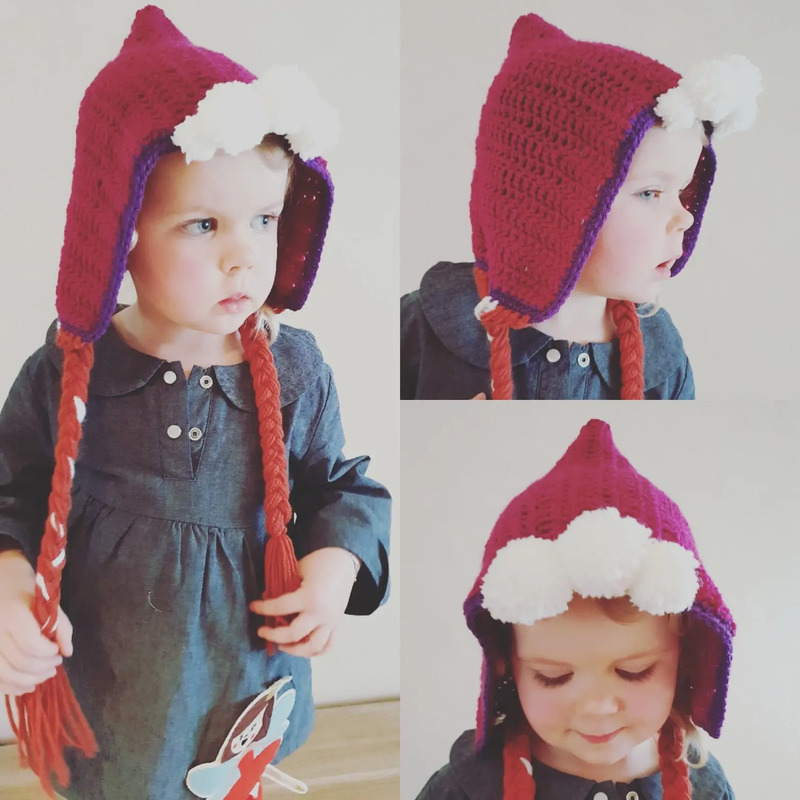 This Anna hat can be used for dressing up, but my daughter already took it too school! If you make it in red yarn, it can be a red rindinghood too by the way! If you have any questions: shoot!